Cartographic Traditions in East Asian Maps. Honolulu: The MacLean Collection and University of Hawai’i Press, 2014. 123 p. $40.00. Cartographic Traditions in East Asian Maps is a beautifully illustrated study of maps created in China, Korea, and Japan during the eighteenth and nineteenth centuries. The purpose of the study is to use maps from the MacLean Collection as examples of the cartographic traditions in these countries, examining the maps in detail to discern differences and similarities in these traditions. The author notes in the preface that this is not a subject that has been explored previously, and his stated hope is that this book will “begin a dialogue” on these cartographic traditions. The MacLean Collection is a private collection of artworks and maps housed in Chicago, Illinois area. The author of this book, Richard A. Pegg, is the Collection’s Director and Curator of Asian Art. Dr. Pegg is an art historian, not a cartographer, and by his own admission in the introduction, had not considered maps as “an interesting source for study” before examining some of the works in the MacLean Collection. This book discusses maps primarily as art works and reflections of the cultures that produced them, not as works of cartography or geography. The MacLean Collection does not have extensive holdings in East Asian maps, so this study is limited, as Dr. Pegg makes clear in the introduction. Nevertheless, some very interesting maps are represented. The book is divided into three sections, one for each country, and each section contains regional and local maps produced in that country. Each section also depicts some maps unique to its country: maps on ceramic plates from Japan, atlases from Korea, and an imperial inspection tour map from China, where the Emperor’s route is a straight line and the geography is arranged around it. The maps are represented by full color figures of the entire map plus several detail figures illustrating particular points raised in the text. These illustrations are clear and quite beautiful, and are the high point of the book. The text is another matter. The author obviously has considerable expertise in this area, and he raises some interesting points, but they are hard to access because the text is often disorganized and unclear. There is a great deal of detailed discussion of features in each map, along with historical context to explain the significance of the map; this historical context is uneven overall, with too little in some places and so much in others that the author’s point is overwhelmed. For example, in the discussion of a Korean frontier map (p. 63), the text mentions in passing that the map makes a political statement by affirming the Joseon foundation myth – without explaining what that myth is, or why it is politically significant. In contrast, in the section on Chinese maps, the author goes into a long explanation of the structure of civil administration (p.18) that, while interesting, seems tangential to the examination of the map in question and adds little to support the study overall. Place names within the text present another confounding problem. The maps give location names in vernacular script, of course, while the text uses only transliterations, making it difficult at times to understand what map feature the author is referring to. This is only partially ameliorated by a glossary in the back of the book, which relates transliterated names to their vernacular forms. The glossary is incomplete, leaving some important place names out entirely. For example, Mount Meru, the centerpoint of the Buddhist world view at that time, is depicted on one of the Japanese maps in the book, and even called out in one of the detail images as an important feature of the map. The detail shows several mountains, but it’s impossible to discern which one is Mount Meru without knowing the vernacular form of the name, and Mount Meru is not included in the glossary. Named places may have several names in different languages, particularly if they are represented on maps from different countries; the glossary only gives one of these names, forcing the reader to hunt for the one selected. The glossary also does not include page numbers and the book has no index. In a comparative study, particularly across cultures, comparing the treatment of the same location in different countries would seem to be pertinent, and an index would be a useful tool to facilitate this for the reader. The indexing issue points to a structural weakness in the book: arranging the maps by country obscures the comparisons that are the main point of the study. Most of the discussion of similarities and differences occurs in the introduction, and this could have given a strong framework to the entire book. Instead, many of the details from the map discussions are brought into the introduction, and the country sections are left to stand on their own. There is more supporting information in those sections, but the text does not do a good job of tying that information back to the points in the introduction. The book has no concluding section; it finishes with a couple of paragraphs at the end of the section on Japanese maps that only weakly restate the study’s point. The result is a book that is disjointed, presenting a study in the introduction that is interesting but limited, and three sections heavy on detailed description but only loosely connected to the study. 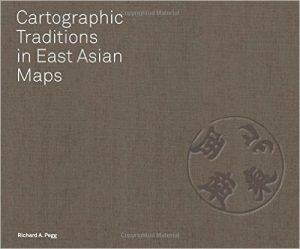 Cartographic Traditions in East Asian Maps is visually appealing, but it is not a book for the general public. It seems to be written for other scholars of East Asian art. The lack of clarity in the text makes it necessary to have some background in the history and art of this region to fully appreciate the significance of the maps examined. Still, it does accomplish the author’s goal of being a starting point for further discussion and examination of its topic. 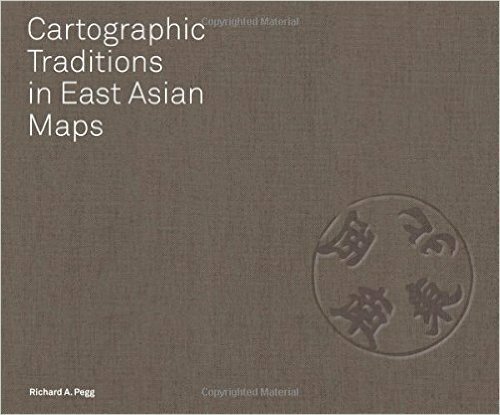 This book would make an appropriate addition to libraries having a strong focus on East Asian art, history, and culture, or for institutions with an interest in maps as cultural artefacts, but it is probably not appropriate for more general collections.